There are really only two different types of stand-up paddleboards today (since 2010); solid paddleboards and inflatable paddleboards (iSUPs). Solid paddleboards are made from polystyrene (plastic mixed with air and not to be confused with styrofoam). A piece of wood called a stringer (sometimes a 2×2) is incorporated into the middle of the foam block for added stiffness and durability. When you stand on a board you are standing on either side of this piece of wood. The foam block is then covered with a fiberglass cloth and then covered in a coating of liquid fiberglass and painted with epoxy resin or covered with a thermomolded material like PVC or even plastic. Newer racing boards are coated with carbon fibers instead of fiberglass since it weighs less and is much stronger. Other boards are covered with high-density foam called soft-boards or soft-tops, but are still solid paddleboards. The problem with epoxy coated boards is that they are very fragile. If you drop the board on concrete or paddle into a solid object you can be sure that the board will take in water, which can eventually rot out the foam. If purchasing a used paddleboard be sure to either spray it with a hose or submerge it in a pool to check for air bubbles. The plus side to an epoxy board is that it will move more quickly in the water than any other type of coating such as plastic, PVC, or foam. While paddleboards that are coated in tougher materials like PVC, plastic, or foam may be more durable there is usually a slight sacrifice in speed since water tends to move off the board more easily, thereby creating more friction in the water. This is the reason that surfboards are coated with polyurethane. It’s water-proof properties makes the board actually stick in the water more which is good for surfing a wave but not paddling through one. Inflatable paddleboards (iSUPs) are made from urethane and PVC similar to a raft and filled with polyester strings that help disburse the airflow. They may have a rubbery feel, but they are not rubber! 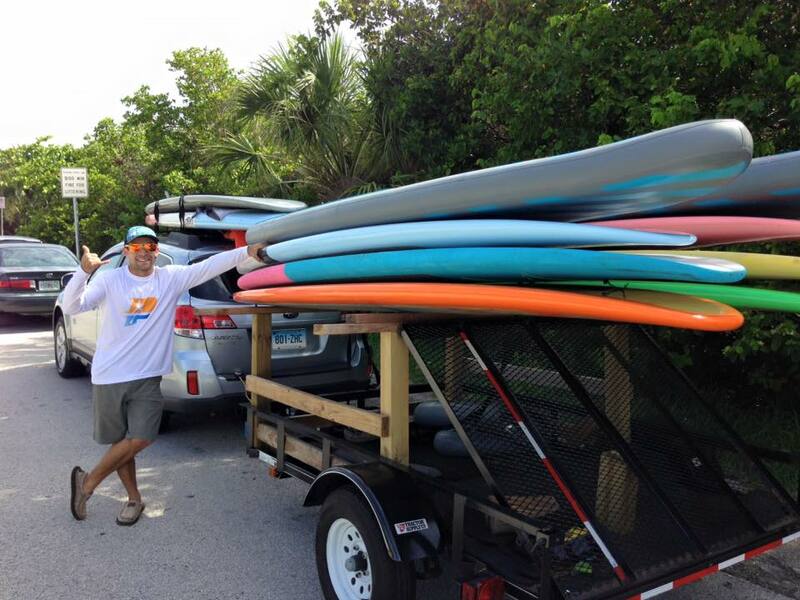 This entry was posted in Blog and tagged difference between SUP boards, paddleboard materials, SUP materials, Types of Stand-up-paddleboards, Types of SUP. Bookmark the permalink.